We have finally arrived at Oscar weekend and this week’s “Wine and Film, A Perfect Pairing” Podcaston reVolver Podcasts we talk through the whole ballot of nominees. 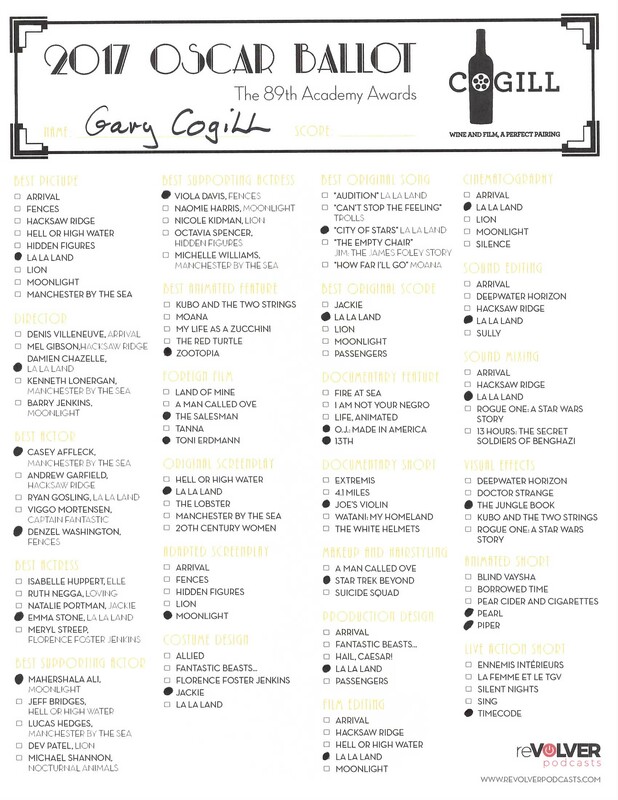 From best film, best writing, best sound and more, Gary gives his official predictions for who this year’s winners will be. 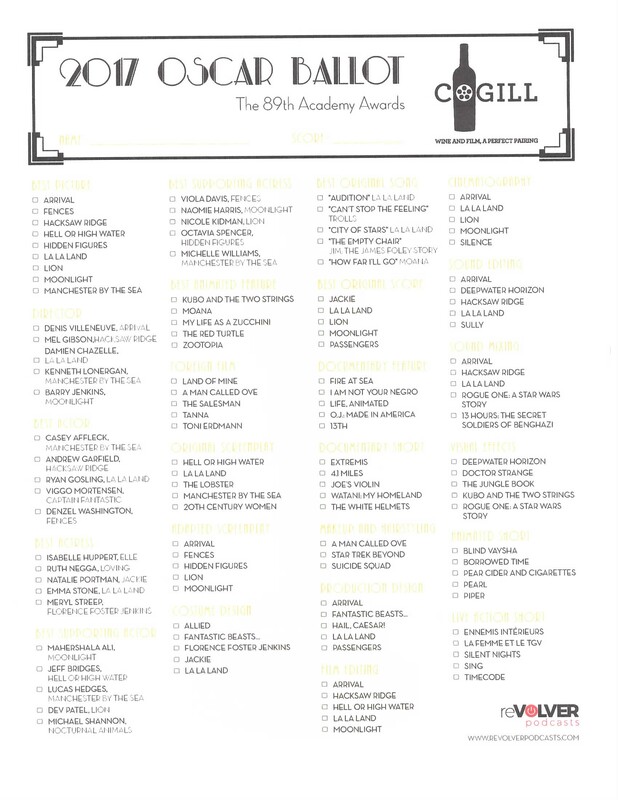 His ballot is below for reference, along with one you can print and use to make your selections this weekend. For tips on what to sip this weekend, check my post on D SideDish for pairing with the front runners, including the official Champagne of this year’s 89th annual Academy Awards, Piper-Heidsieck. Pop some bubbly, and some popcorn, and enjoy the show! To listen, click here and the link to “Episode 36.” And, be sure to subscribe through iTunes, Spotify, IHeartRadio or Google Play. We’ll see you at the movies.